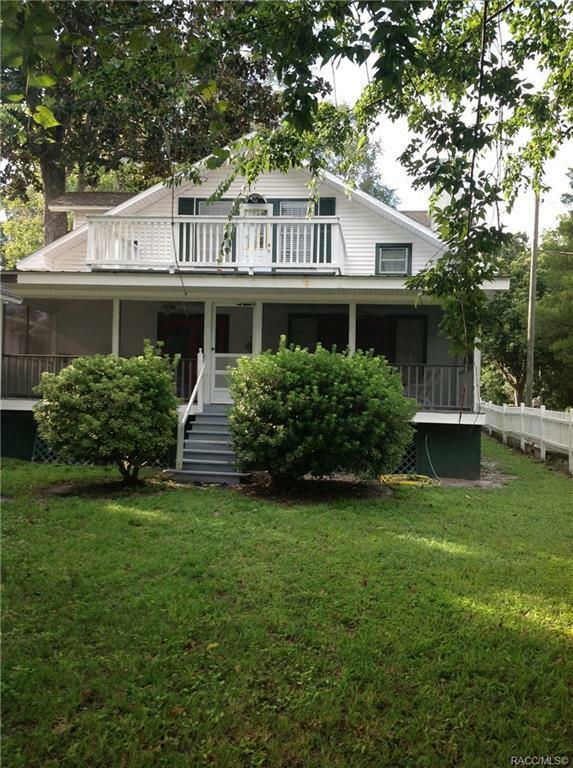 Riverfront 3 bedroom 3 bath Home plus 1 bedroom 1 bath Guest House on the Withlacoochee River in Yankeetown! Welcome Home to this wonderful home on Live Oak Tree shaded Riverside Drive. You'll be surprised at the storage space and privacy in this 2 story home. One bedroom and bath could be used as an apartment or in-law suite with private bath,bedroom & sitting room with fireplace. The master suite is upstairs with a balcony overlooking the river. The living room has a second fireplace and overlooks the river. Formal Dining Room, Inside Laundry, wood cabinets in the kitchen and a large screened porch overlooking the river. Come see this great home today.